Call today and schedule a LASIK consultation! 0% Financing for 24 Months! Please complete the form below and a member of our LASIK scheduling staff will contact you shortly. No Gimmicks! We don’t haggle with you during your consultation. Unlike the corporate chains, you pay one low price for LASIK vision correction without worrying about bait and switch advertising. Our LASIK Surgeon, Dr. Shatz has completed fellowship training in cornea and refractive (LASIK) surgery at world renowned the Bascom Palmer Eye Institute. 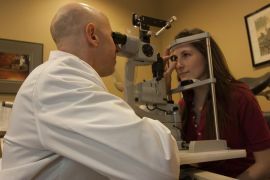 Most Patients achieve 20/20 or better vision! What do you currently wear the most? Have you had any previous eye surgeries or diseases?